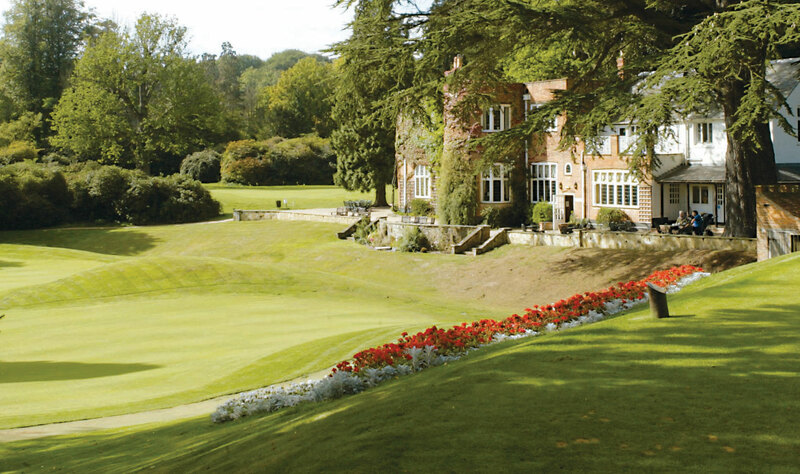 Work has been increasingly busy over the last couple of months and after reaching the stage of just needing some time out, I booked myself a little getaway in the beautiful county of Berkshire. 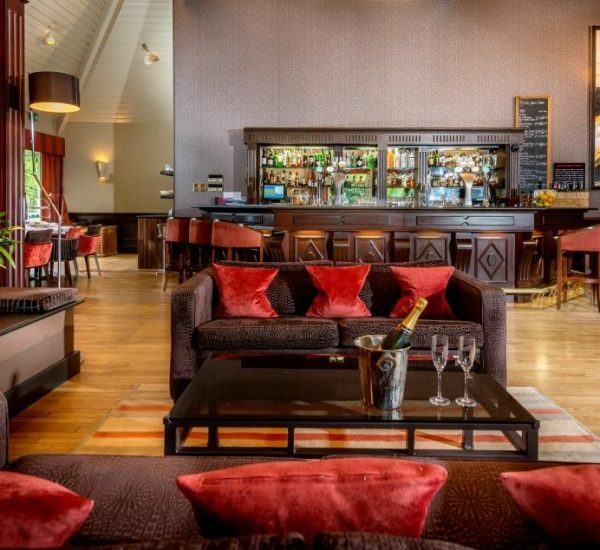 I stayed at the privately owned, family run Donnington Valley Hotel and Spa. 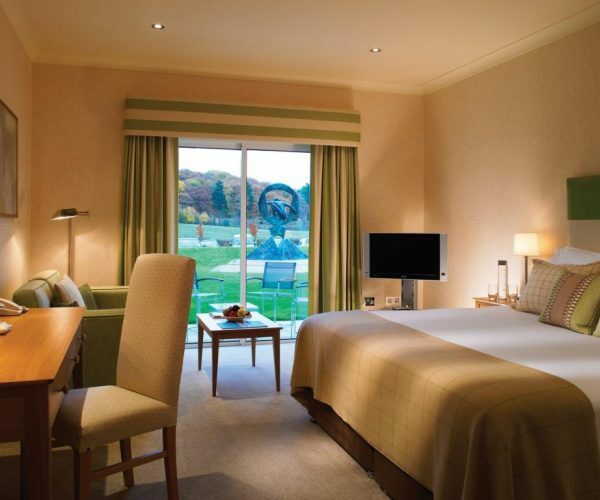 Conveniently located two miles from Newbury, around an hour from West London and just 45 minutes from Heathrow Airport. 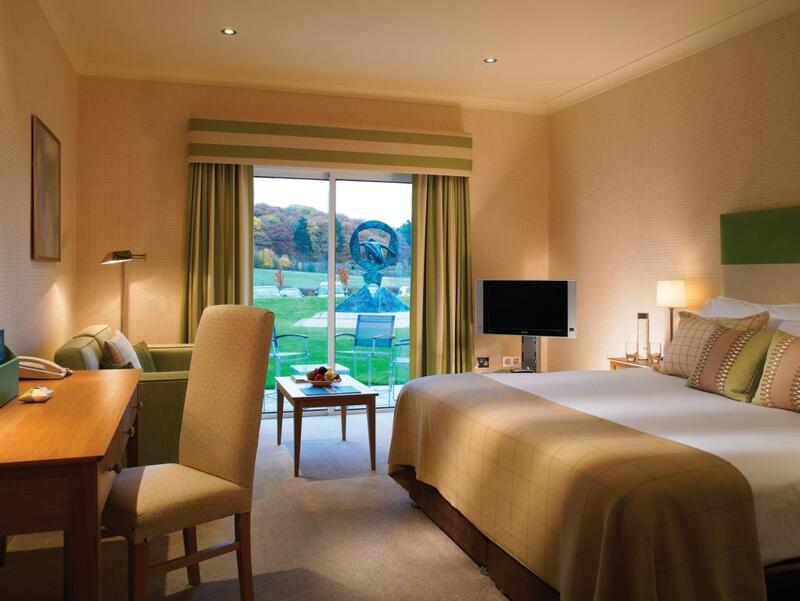 Donnington Valley is surrounded by beautiful grounds and parkland and boosts it’s very own 18 hole golf course and state of the art spa. Donnington Valley prides itself on providing genuine service in a relaxing and welcoming atmosphere and the hotel compromises of 111 rooms and suites. 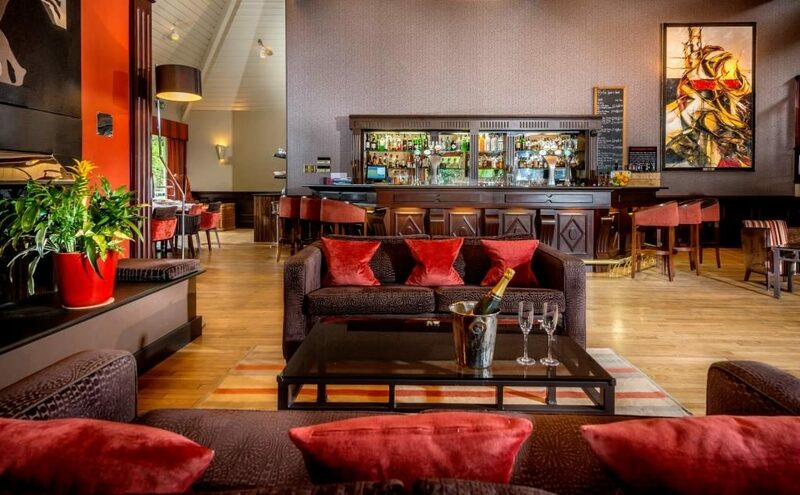 This 4 star hotel is charming and elegant with countryside views of green rolling hills. During my visit I made full use of the onsite facilities, which include an 18 metre swimming pool, sauna, steam room, aromatherapy room and Jacuzzi. I was really impressed by the state of the art gym, the equipment was varied and bang up to date, the gym was immaculately maintained and I had a great work out both days. It wasn’t all hard work, as during my stay I booked myself a relaxing treatment in the impressive spa. 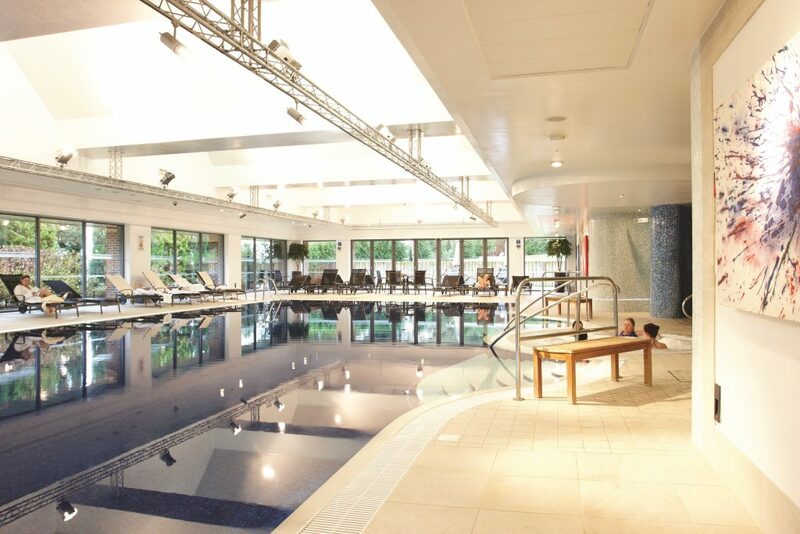 The Health Club and spa was a sanctuary of calm, and it is clear to see why they were a finalist in the British Beauty and Spa Awards. There are six treatment rooms available at the spa offering an array of blissful treatments, I opted for a Decleor Vitamin Glow facial which included a soothing neck and shoulder massage. My spacious treatment room was beautifully furnished to be both modern and cosy. The facial treatment was amazing and had so many different steps within the treatment, I didn’t want it to end. Following the treatment, my skin felt as soft as a peach and I left the room feeling completely pampered. The spa has a lovely relaxation room that guests are welcome to use before or after their treatments. I opted to use the room after my facial as a nice way to extend the blissful feeling of peace and just chill out by myself. Later that afternoon I moved over to check out the the Health club and took a dip in the swimming pool. 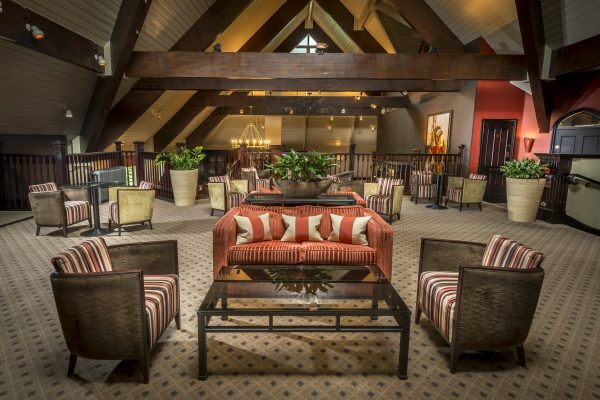 After my revitalising swim I read a book lazing on one of the surrounding loungers overlooking the spa garden area. Wrapped in my fluffy white dressing gown from my hotel room, I felt so relaxed, I actually ended up falling asleep, it was heaven! After a full day with a mixture of exercise, rest and relaxation I was looking forward to unwinding with an evening meal at the Winepress Restaurant. 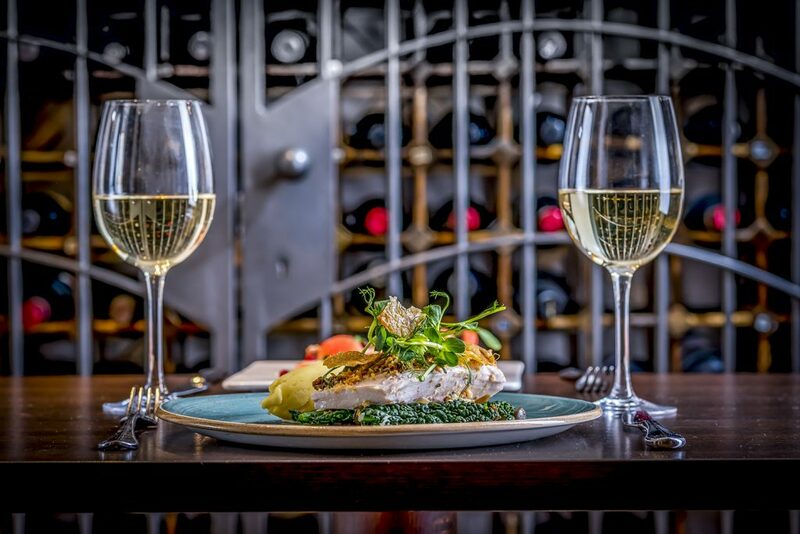 The tempting restaurant menu reflects the changing seasons, and where possible includes locally sourced ingredients. With a focus on dishes that can be enjoyed socially such as sharing platters and carve your own Sunday roasts, Donnington Valley Hotel has an extensive wine menu, having won several awards for their selection of wines. I found the restaurant staff to be exceptional, taking the time to talk through some of the menu’s highlights and their recommendations. The menu is full with good honest hearty food. I opted for the wild mushroom and sage risotto whilst my guest tucked into the whole seabass which was divine. I can never resist a dessert and the pecan toffee pudding with Courvoisier butterscotch and vanilla ice cream did not disappoint my palette! Retiring to our executive room, which was very spacious, I found the bed, with Egyptian cotton duvets to be super comfortable and I loved the plush marble bathroom. All rooms include complimentary wifi, mini fridges, air conditioning and a laptop size safe, so we had all the amenities we could need. We both had a great night’s sleep and enjoyed spending time in the room as it was such a comfortable space. Whilst we were staying as a couple, Donningtom Valley is very family friendly and offers a Newbury nannies service, so you can ensure your little ones are well looked after. One of my favourite things about a hotel stay is the opportunity to enjoy a sumptuous breakfast. The selection of breakfast treats available at Donnington did not disappoint. Eggs can be cooked to order and as a vegetarian, I was pleased to discover veggie sausages were also available, as this is so often not the case. The icing on the cake for me was a fresh Belgium waffle maker. Small glasses of ready made batter are left on the side along with instructions so you can easily create delicious waffles in just a few minutes. A variety of tempting toppings, berries and yogurts are also available to add to the indulgence. After breakfast, my guest and I enjoyed a wonder around the beautiful grounds and were delighted to find interesting sculptures and water features adding to the natural beauty of the countryside scenery. Whilst not golf enthusiasts ourselves, it was nice to see other guests enjoying the well maintained golf course. 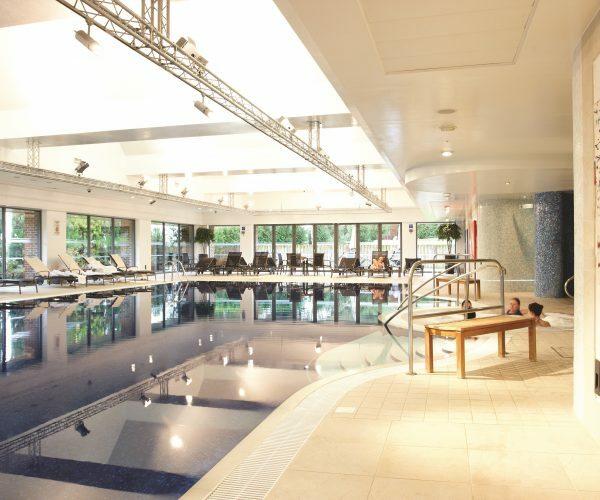 There was one final trip to the impressive gym before check out, (to help burn off some calories from the waffles at breakfast) Both my guest and I agreed that Donnington Valley Hotel and Spa had been well worth the visit and we really felt we were able to get a lot out of our stay. The staff are welcoming and helpful, the rooms spacious and comfortable, we loved the selection of food, the professional spa treatments and the beauty of the countryside setting. This is certainly a place I would hope to come back to and will be highly recommending to family and friends.